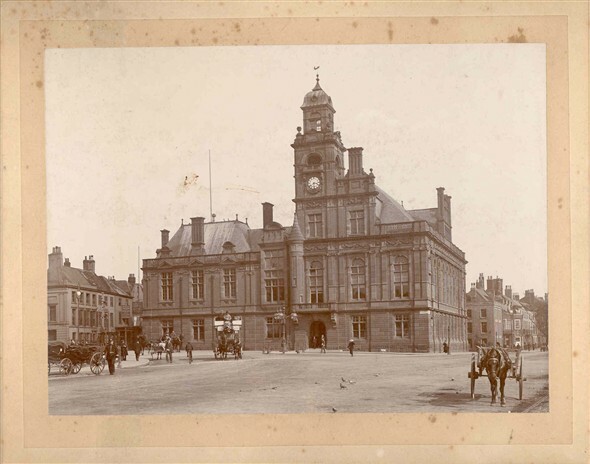 The present Town Hall was built in 1878-82, it was designed by architect J.B.Pearce. The first photograph is probably early 20th Century, as the Bridge was replaced in the 1930's by the modern one, which was opened by the then Prince of Wales. 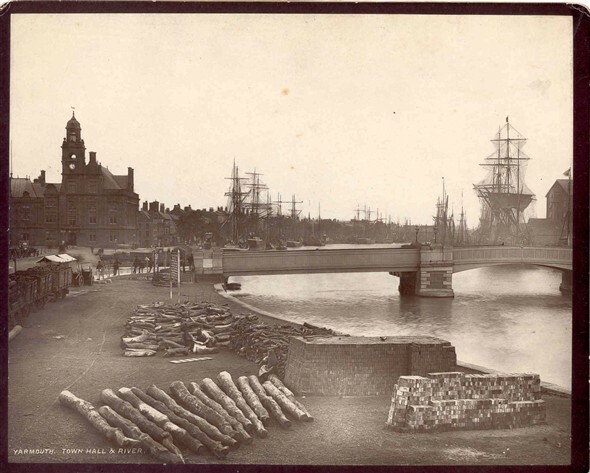 Note the number of sailing ships in port and the wagons on the Dockside Railway. This page was added by John Layton on 21/02/2007.